Come and see for yourself the contentment this beautifully maintained family home will give its lucky new owners! Renovated and modernised, this split-level 3-bedroom house offers the space to relax. With a fresh paint job inside and out, new guttering, a repointed and sprayed roof and low maintenance yards, there’s no upkeep to worry about. Set back behind the front lawn with its impressive feature tree and a white pebble driveway, this solid brick home has all the features you could want, on a 650sqm (approx.) block. The sheltered front entry opens into a home that exudes warmth with its polished floorboards, crisp paint scheme and vaulted cathedral ceilings in the main living areas. From the entryway, the three bright and well-sized bedrooms are located to the left, along the top level of the home. The master has a wall of built-in robes, and all have handy block out/shade blinds. The stylish newly renovated family bathroom at the end of the hall is up-to-the-minute with its grey floor-to-ceiling tiles, a deep bath and frameless shower screen. Two sets of internal steps in this immaculate split level home give you access down to the lower section. 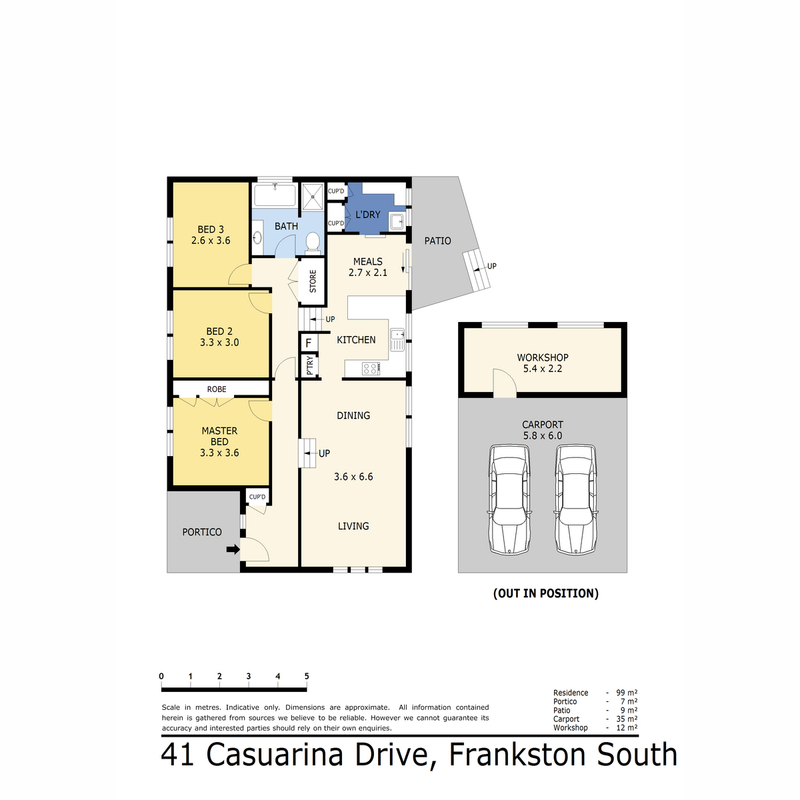 Here you’ll find a spacious living room and dining area, with a doorway through into the modern kitchen, which has glass splashbacks, Fisher & Paykel oven, Asko dishwasher and a breakfast bar overlooking what can be a study nook or play area. The functional laundry is located in the room beyond. Sliding doors lead outside onto an undercover brick patio, with a huge terraced timber decking beyond that is not only low maintenance but has lighting throughout the deck and back yard to make it a practical space to use all year round. 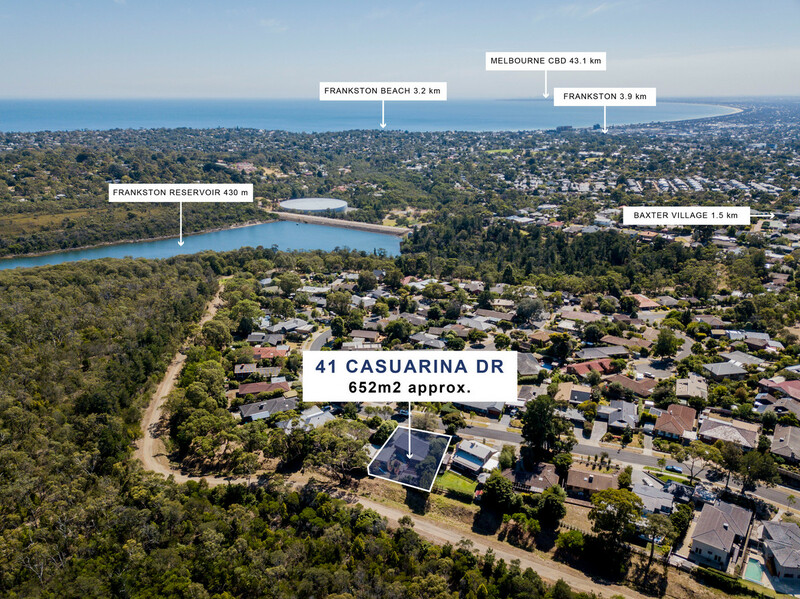 The property also boasts its own private gate directly onto one of the region’s newest attractions – the recently opened Frankston Nature Conservation Reserve, with 98 hectares of walking tracks, water features and stunning native wildlife and vegetation. For some fun in your own backyard, you’ll also get a big elevated cubby house with slide to keep the kids entertained. To complete the package, there’s in-floor ducted heating, split system a/c, stainless steel down lights, fans and fixtures, and a fully fitted out Clipsal C-Bus system that controls lighting, electronics and music in different zones (both indoors and out) via three digital control panels through the house. A double carport with lockup workshop, including power and a large workbench, will take care of all your storage needs. The home is also just a short drive to local shops and is in the Derinya Primary School zone. Please have your I.D. ready upon inspection.